This is the place to learn about our project proposals submitted to the area land managers. The Ongoing Projects section lists our long-term projects at area parks. For questions or comments, please use our forum or visit us on our facebook page or contact us by email. We have submitted a proposal to develop a directional flow trail, family trail and pump track to the City of Wildwood. We have submitted a master plan proposal to develop a new trail and features to St. Louis County Parks. This effort is being led by the GORC Gravity team. We are currently working with St. Charles County Parks to scout and develop a proposed new flow trail, traditional trail and reroute some minor sections of the existing trail network. 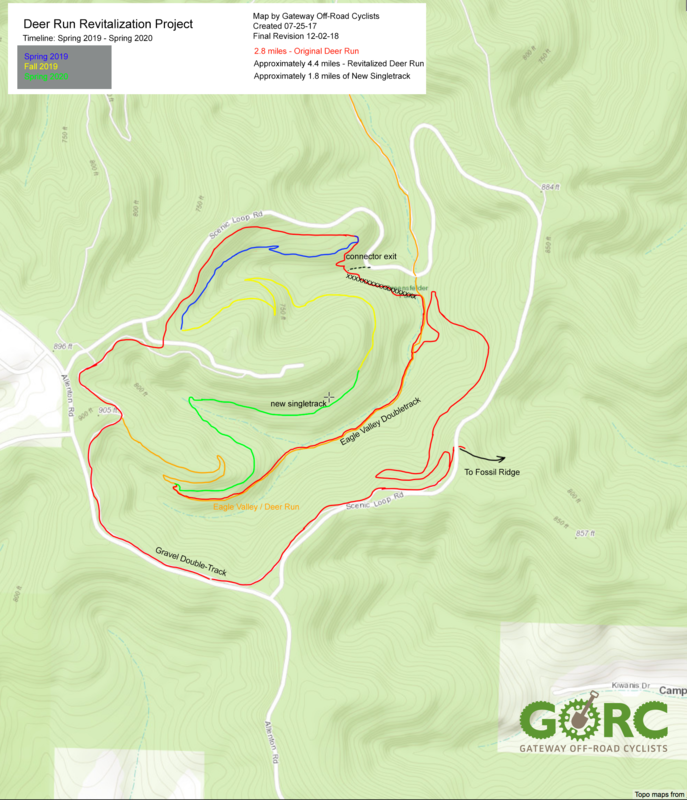 This effort is being led by the GORC Gravity team and Matson trail stewards. We are currently discussing opportunities within Babler State Park to develop mountain bike trails. This is in early stage discussions and we will announce more information as it becomes available. We are currently discussing opportunities within Cuivre River State Park to develop mountain bike trails. This is in very early stage discussions and we will announce more information as it becomes available. A master plan was submitted to St. Louis County Parks in mid-2018 that outlines our project goals to revitalize the remaining multi-use trails using sustainable trail building methods and potentially create a singletrack route to allow riders access to and from the park via Melrose Road. This would allow users to connect Greensfelder to the Hamilton-Carr paved trail and onto the Al Foster and Bluff View trail networks. We believe this would greatly enhance the region's park connectivity and draw outdoor enthusiasts from around the region. Currently, this "Melrose Connector (working title)" trail concept has not been approved to date. We are currently working on revitalizing the Deer Run trail by rerouting portions to create a sustainable natural surface tread. This includes up to 2 miles of new multi-use singletrack and will begin construction in March 2019 and will continue until the Deer Run trail is complete. Once complete, our focus would shift to the Melrose Connector, if approved, or continue the revitalization process on the Mustang trail. Our preference would be to gain northern multi-use access from Melrose Road to connect our region's parks and amenities. 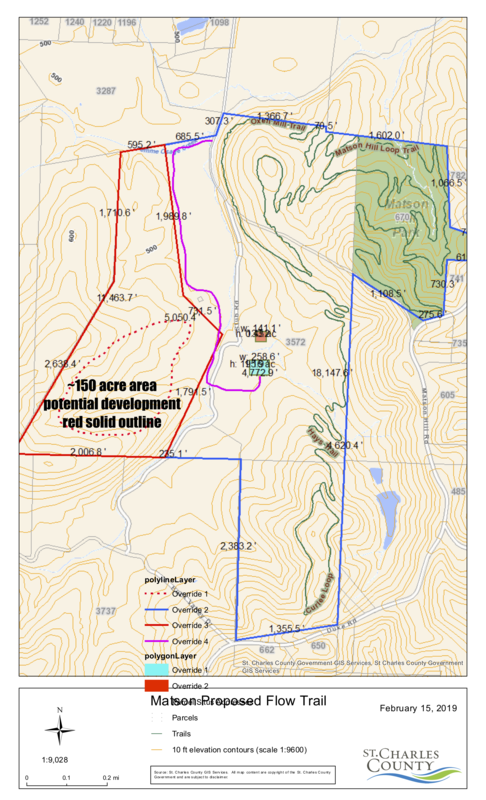 Cliff Cave is expanding its natural surface trail network. More information in the near future.